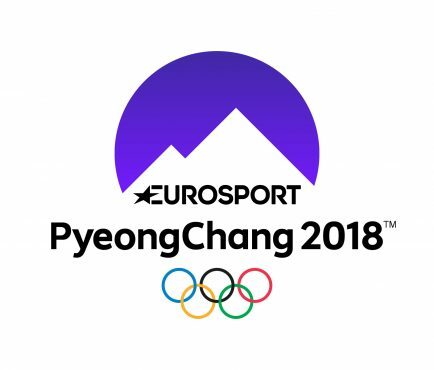 Eurosport has unveiled its on-screen logo for the Olympic Winter Games PyeongChang 2018 – the broadcasters first as the new Home of the Olympic Games in Europe. The logo brings together the current Eurosport wordmark with the PyeongChang logo typeface, underpinned by the iconic Olympic rings. The three existing logos are headed by a mountain silhouette – the natural setting of the Winter Games. The silhouette background is arched echoing the shape of the Olympic rings and will come in several variations, using a vibrant colour palette expressing the spirit of modern K-pop culture.